WAMS’ production of “Once Upon A Mattress” will take place in the school’s auditorium on Feb. 22 and 23 at 7 p.m. and Feb. 24 and 25 at 2 p.m.
Susan Balderstone is making her return to directing at William Allen Middle School with this year’s spring musical “Once Upon A Mattress.” After taking a four-year break from directing, the WAMS special education teacher spent the summer searching for the right musical. Having starred in “Once Upon A Mattress” herself and meeting her husband while directing a production, she looked for a children’s version of the show, and much to her surprise, she found one. “It’s very close and dear to my heart,” Balderstone said. Seventh grader Cathryn Bogart plays Princess Winnifred who wants to marry Prince Dauntless the Drab played by seventh grader Adam Connor. Queen Aggravain, played by eighth grader Luna Ding, is opposed to this idea and develops a sensitivity test. The queen declares that if the princess can feel a pea under a stack of mattresses, she can marry Dauntless, and the plot follows the ensuing hijinx that occur along the way. 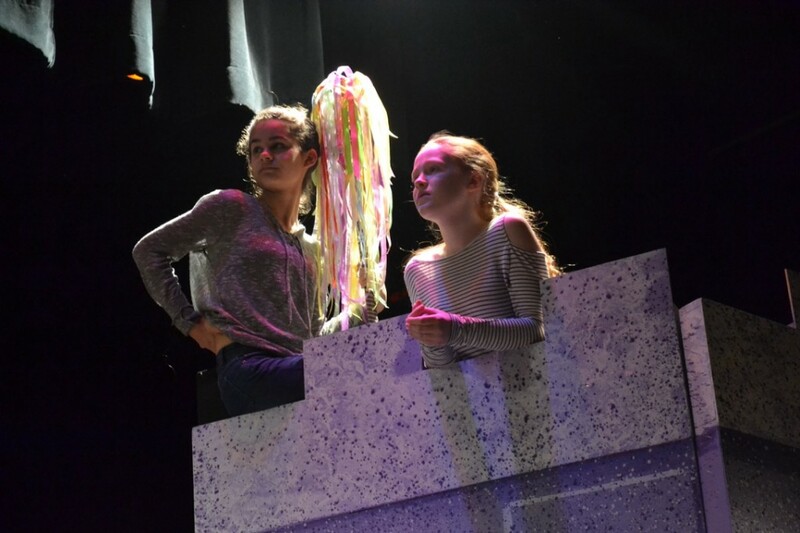 Balderstone said this year’s production features a group of particularly talented actors and actresses. She said they held auditions in November and were met with a tremendous outpouring of interest. More than 120 students auditioned, and none were cut, Balderstone said. Once the cast list was finalized in November, rehearsals were held every day from that point moving forward. 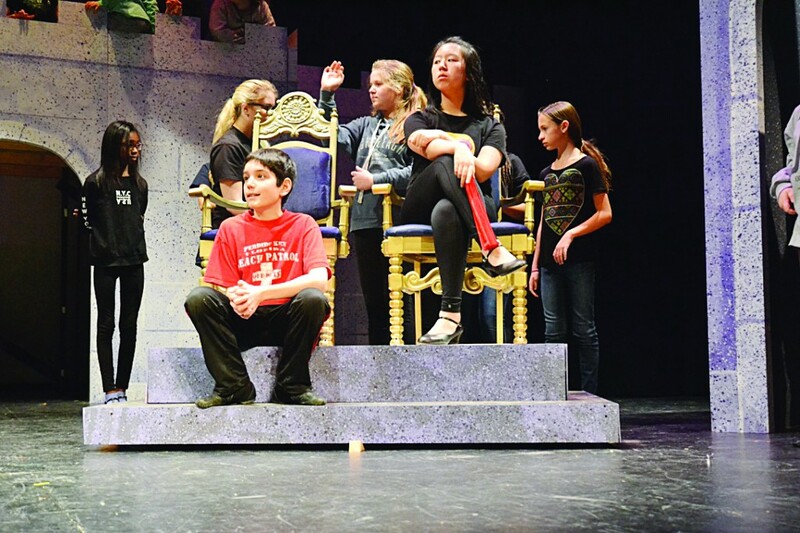 Marcia Stetler Klock, the producton’s vocal music director, said “Once Upon A Mattress” challenges students in a way they haven’t been before. She said because none of the students have had the life experience of being in a royal family, the musical forces students to use their imaginations to help guide their characters. “It really forces them to think outside the box and be creative more so than some of the other shows that we’ve done over the times,” Stetler Klock said. Bogart echoed Stetler Klock’s sentiment. She said her role as Winnifred has proven a fun acting challenge. She said in the past, she’s played “more serious and cute roles” and to date, she has never played such an outlandish character. She said it’s been a fun learning process for all of the students as they memorize their lines and choreography. Eighth grader Mia Zambrano, who plays the Jester, said there’s a genuine sense of camaraderie among the students working on the musical. She said the story should attract audiences because it’s a bit different than the usual fairy tale. “I think that it puts a modern twist on something you usually wouldn’t want to put a modern twist on, which is a really old fairy tale,” Zambrano said. 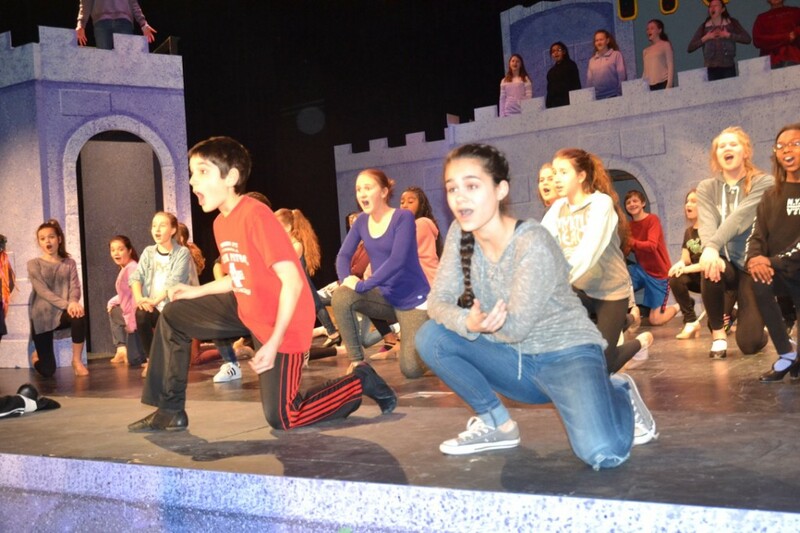 Seventh grader Colin DiPasquale, who plays the King, said the musical has a lot to offer. Bogart said everyone who has worked on the production has put forth a lot of time and effort. Tickets are $12 each and can be purchased prior to the show at www.showtix4u.com.